If you have an equipment rental company then you know that the key to serving the needs of your clients is to have a diverse inventory that is readily available for short-term and long-term projects. While having competitive rates helps attract new customers, being responsive, reliable, and courteous is key to keeping those customers. Since your rental equipment can make or break a deadline, your clients are depending on you to be available at a moment's notice for last-minute needs, such as requiring additional machinery or tools to complete a project, or having to replace an item because it broke or failed to do the job. To help you respond to the needs of your clients, BTE Communications offers exceptional phone answering services at cost-effective rates. Our call center operators have, on average, five years of experience and excel at providing professional customer service. They are available 24 hours a day, 365 days a year to answer incoming calls to your company, and will typically answer each call within the first three rings. They excel at following call scripts, taking orders, scheduling, call forwarding, handling complaints, answering frequently asked questions, screening clients, and more. When helping our equipment rental company clients, our operators typically handle calls after hours and are instructed in answering frequently asked questions, forwarding emergency requests, and processing equipment rental requests in their order taking system. Call family-owned and -operated BTE today for a free phone answering consultation. 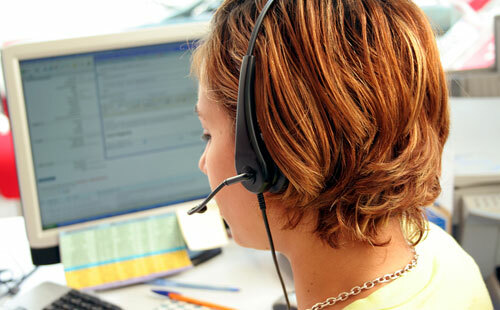 Every phone answering service plan is customized to each client's specific needs and budget. There is no long-term commitment, and your preferred call script, phone answering protocol, and services can be changed at any time at no additional cost. Oilfield Service Your browser does not support the audio element.